• The Associated Press reports that a federal judge has rejected efforts by the state of North Carolina to dismiss a lawsuit over prisoner beatings that took place in Central Prison’s solitary confinement unit. “‘Your case is about sunlight, where you claim there were systematic violations,’ Boyle told the lawyers for the inmates. ‘What we need to do with this lawsuit is not bury it in a deep, dark hole and proceed with discovery. '” Solitary Watch reports on the case here. • The Atlantic reports on the story of Sam Mandez, who has been held in solitary confinement in the state of Colorado for the past 16 years for non-violent, petty prison rule violations. 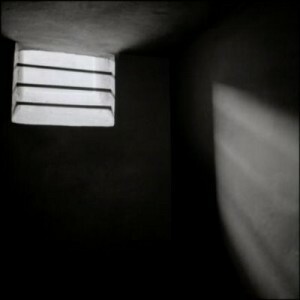 “[M]ade severely mentally ill by prison policies and practices, left untreated in that condition year after year by state officials, Mandez personifies the self-defeating cruelty of America’s prisons today.” Mandez’ story is featured in a new film by the ACLU, Out of Sight, Out of Mind, about mentally ill prisoners held in solitary confinement. This entry was posted in Seven Days in Solitary and tagged Albert Woodfox, Death Row, Due Process, federal, Lawsuits/Litigation, mental health effects of solitary confinement, Mental Illness, North Carolina Central Prison, Psychological Effects, Sam Mandez, Solitary Confinement, Virginia. Bookmark the permalink.